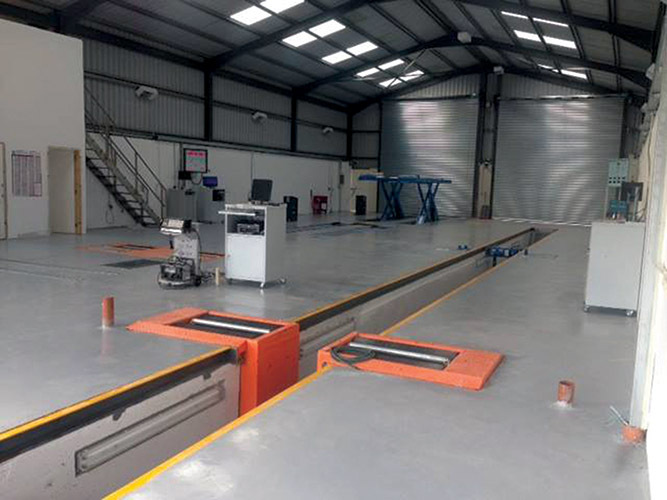 Mallow Test Centre has enjoyed a successful first year in business, having already established itself as one of the busiest CVRT (Commercial Vehicle Roadworthiness Test) Centres in the Munster region. Test Manager James O’Sullivan explains more. Together with its parent company Mallow Commercials Ltd, Mallow Test Centre is a one-stop shop for all your vehicle testing, LCV servicing and repairs, tachograph calibration and vehicle plating needs. Operating from the same site in Quarterstown, which is one mile off the main Cork-Limerick Road, one-and-a-half miles outside Mallow town and one-and-a-half miles off the main Mallow-Killarney Road, Mallow Test Centre and Mallow Commercials Ltd are run by the O’Sullivan family, who have been in business in the north Cork town for almost 30 years. “Since the Test Centre opened last August, we’ve been able to offer our customers a complete service in terms of vehicle testing, servicing and repairs. The two businesses complement each other very well,” enthuses James, whose father and namesake had worked in the transport industry for many years before establishing Mallow Commercials in 1987. Mallow Test Centre is part of a network of independently-owned CVRT test centres dotted throughout the country which carry out inspections on behalf of the RSA on all commercial vehicles. The CVRT inspection includes checking brakes, lights, markings, wheels and tyres, steering and suspension, chassis and underbody, tachograph, speed limiter, exhaust emissions, electrical systems, glass, mirrors and more. The O’Sullivan’s have invested heavily in the latest equipment for testing all LCV and HGV commercial vehicles. The purpose of the test is to ensure that these vehicles are in good condition throughout their entire life. “We have made a significant investment in providing the best facilities for our customers. Their safety on the road and the safety of others is of paramount importance to us,” says James. Mallow Test Centre’s opening hours are 8.30am to 6pm Monday-Friday and 9am to 1pm on Saturdays (other times are by appointment only). 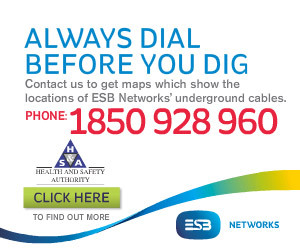 Customers can make their booking over the phone or online. There are different fees applicable for different types of vehicles. The relevant fees (full test), inclusive of VAT, are as follows: LCVs - €111.16; trailers - €166.40; 7 ½ tonne trucks - €168.26; 10 ½ tonne trucks - €198.34; Buses (14 seats or more) - €233.96; 3-axle tractor unit - €235.63; 4-axle tractor unit - €258.42. James is delighted with the support Mallow Test Centre has received from commercial vehicle owners since its appointment as a CVRT test centre. Unsurprisingly, the advent of Mallow Test Centre has had a positive spin-off effect for Mallow Commercials which offers a wide range of vehicle repairs, servicing and parts sales. An Iveco parts dealer, Mallow Commercials has earned an outstanding reputation for providing a quality, reliable and friendly service, and is recognised as one of the leading commercial vehicle specialists in the Munster region. As dedicated commercial vehicle specialists, the company is tuned into the needs of the commercial customer, who see the vehicle as a tool of their trade. “We used to specialise in sales and servicing and were main Fiat and Isuzu dealers, but this end of the business has taken a backseat since we opened the Test Centre. We may get back into selling used commercials at some stage in the future, but our priorities lie elsewhere at the moment,” James explains. For your next CVRT test at Mallow Test Centre or your next service or repair at Mallow Commercials Ltd, be sure to call.